Sometimes I buy a photograph, and when I sit down and take a close look at it, there’s something undeniably creepy about it. This is one of those photos. Am I the only one who thinks this little girl looks like a bad seed? And that dress…yikes. Oh well, Happy Halloween, everyone! 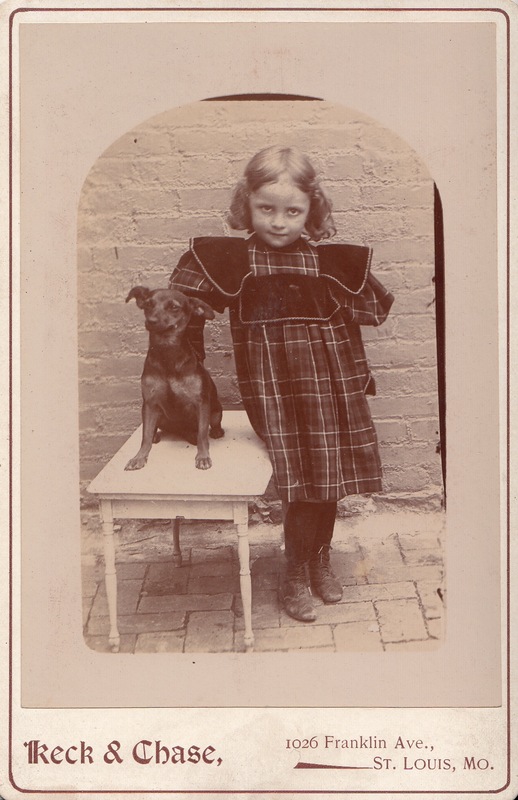 Little Girl and Dog, cabinet card, Keck & Chase, St. Louis, MO, 1890s.